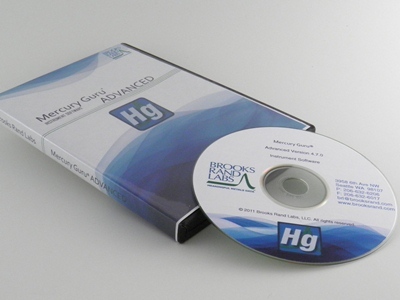 Designed to control all of the MERX system modules in every configuration and process the data from the mercury detector, the Brooks Rand Mercury Guru Software provides maximum flexibility while remaining highly user-friendly. The software offers a choice between peak height and peak area integration, with the ability to switch back and forth between the two with on-the-fly recalculation of results. This feature, in conjunction with preprogrammed or custom quality assurance criteria, allows data interpretation and evaluation to be performed rapidly and confidently. Custom maintenance scheduling alerts users when routine maintenance tasks need to be performed. The automatic shutdown feature ensures that once analysis has been completed, the entire system will safely and effectively shut down, allowing unattended operation and minimizing gas and reagent use. Easily installed on any computer using a Windows operating system and capable of exporting data in a variety of file formats compatible with nearly any laboratory information system, Mercury Guru is a powerful tool for interpreting and reporting mercury concentrations.